Growing up watching the The Yogi Bear Show from Hanna-Barbera I was a little worried when I head about a film version. Warner Brothers have seemed to have done a reasonable job of transferring the characters to the big screen. However, I'm not sure about casting Justin Timberlake as Boo-Boo is a good idea. 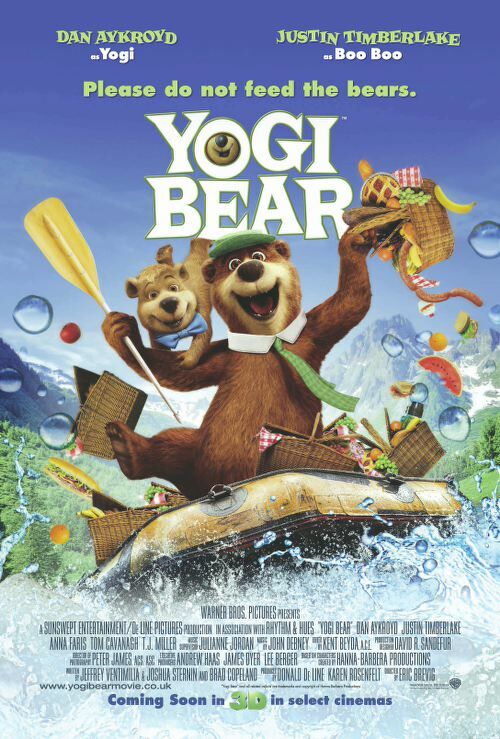 Dan Aykroyd as Yogi seems to be a good choice. There is a US trailer below the poster and images so please scroll down and tell me what you think. I'm not sure if there is a UK trailer available yet but here is the final, domestic, US trailer.